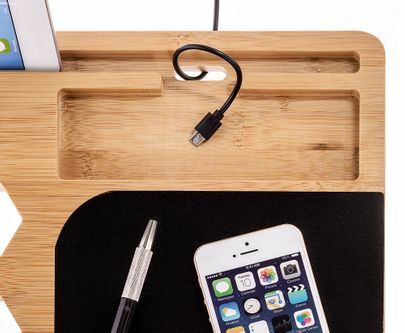 Ditch the desk with Prosumer's Choice Natural Bamboo Laptop Stand and transform your bed, floor, sofa, or cozy recliner into a convenient work station. 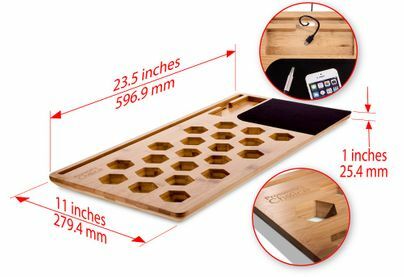 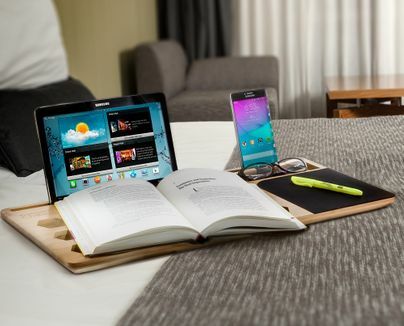 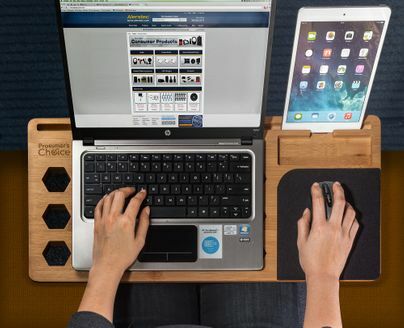 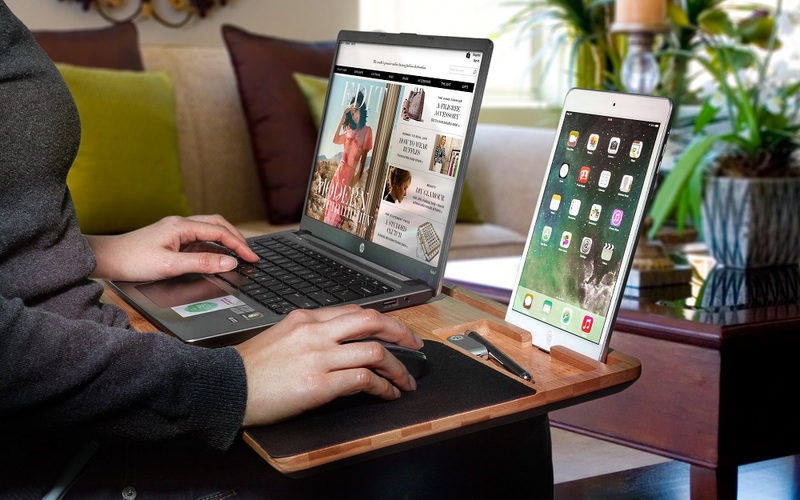 Roomy enough to hold more than two tablets and/or multiple smartphones, this all-in-one lap desk goes wherever you go and is designed for most smartphones, readers and other popular devices. 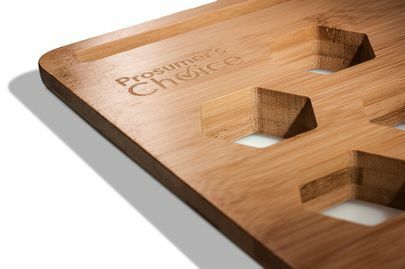 This Prosumer's Choice elegant workstation is made of solid bamboo wood harvested from Certified FSC (Forest Stewardship Council) forest, so you can be sure that you've purchased a socially responsible product. An excellent study station for sofa-surfing students, Prosumer's Choice travel friendly workstation includes built-in organizer trays to hold pens, paperclips, flash drives and other handy items, and the built-in mouse pad incudes a neoprene surface and nonslip backing to keep your mouse effortlessly on track.